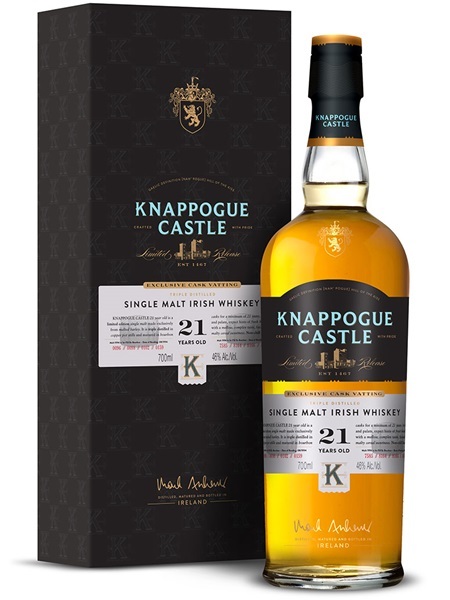 This newly released 21 year old single malt from Castle Brands is released under the Knappogue Castle brand. There, it joins the core range of 12, 14 and 16 year old single malts. Like those before it, the whiskey has been sourced from Bushmill's distillery. The 21 year old is a marriage of 8 casks - 4 of 21 year old and 4 of 23 year old single malt. All matured in ex-bourbon barrels, the release is non-chill filtered and bottled at 46% ABV.